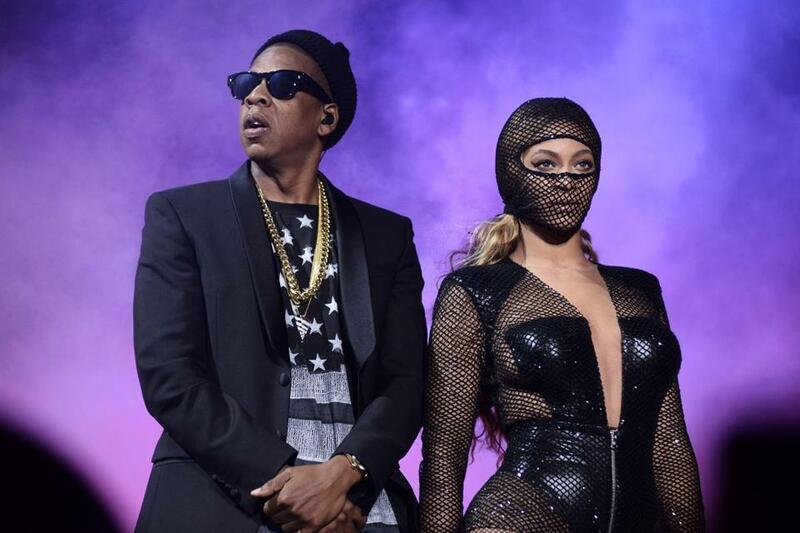 Jay Z and Beyonce performed at Gillette Stadium in Foxborough. Few performers could pull off a production of this scale and scope — more than 40 songs over 2½ hours. Similar to the brisk pacing of Jay Z’s dates with Justin Timberlake last year, there is not an ounce of fat on this tour. Nor is there much to behold beyond its stars: no long catwalks, elaborate sets, or even a visible band. With Beyoncé and Jay Z, two natural-born entertainers, you do not need much more. For a tour predicated on their power-couple status, their onstage chemistry was sometimes chilly. There was no banter between them, and he seemed to look lovingly in her direction more than she did. The exception was “Drunk in Love,” their recent hit, during which they beamed at each other and Jay draped his arm around his wife. He gave her a peck on the cheek toward the end of the night. If there is trouble in paradise, it is certainly not the focal point of this tour. They even exited hand in hand. The so-called queen and gangster would never let the seams show.